Nottingham engineering group Avingtrans has acquired the UK operations of US-based Exterran, which are based in Walsall. The principal activity of the acquired business is the design, fabrication and installation of products for the global oil and gas market. 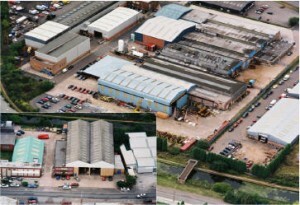 The company, which employs 85 staff, has traded in the UK for many years and has been a long-standing customer of Metalcraft, an Avingtrans subsidiary. It will be integrated into the energy and medical division of Avingtrans. This new part of the division will be known as Maloney Metalcraft in an attempt to “reinvigorate” a previously well-known brand name in this market sector. Its key customers include Petrofac, Talisman, Porvair, EDF and Shell. Avingtrans, which makes components for the aerospace, energy and medical sectors said the deal would enable it to pitch for larger projects once Exterran UK was fully integrated. In the financial year ended 31 December 2012, Exterran UK reported revenue of £16.3m and an adjusted loss before tax of £500,000. Exterran UK is being acquired with a cash balance of £2m, which the Avingtrans’ management believed would be sufficient to fund the turnaround of the business. On completion, Exterran is expected to have net assets of about £1.2m. Avingtrans expects Exterran UK to be at least break even in the year ending 31 May 2015. “We are pleased to announce the acquisition of Exterran UK which has a strong Pedigree,” Avingtrans chief executive Steve McQuillan said.